Since PF 8.3 the Fontcolor of the Desktop switched to black. Before the Update the font was white. Find no way to get the white Font back. Any hints? In Darkmode the Problem is gone. But i want to use the Light Mode. Was coming here to post this very problem I'm having, too. My desktop font is now unreadably black for me in Light Mode. Quitting and restarting Path Finder after making that change - fixed it. And a nice Side effect .... if you delete something on the Desktop the deleted File/Folder disappeared immediately. That was another bug I had. That'll work but only if you then don't want to ever use dark mode which, though, rare for me .. some will want to. 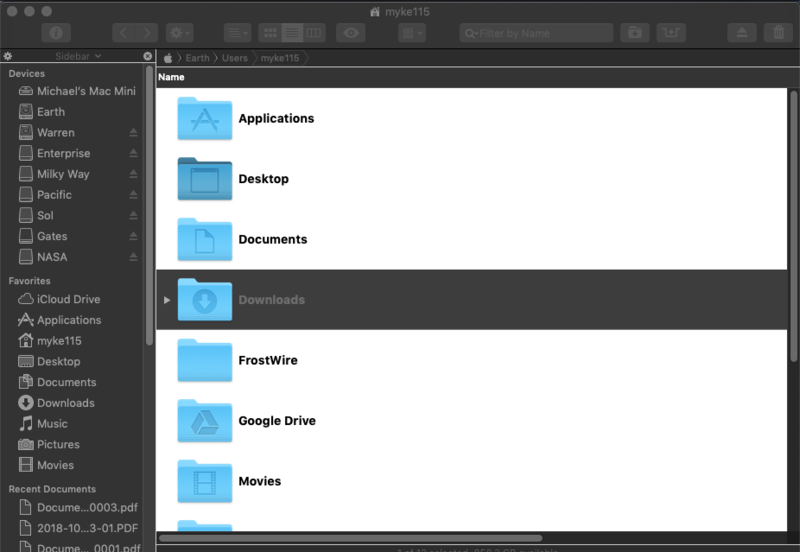 When using the solution above it works until you switch over to dark mode in system preferences you end up with dark mode only partially working .. see screen shot .. as folders will still look mostly white. You then have to go back into PF preferences > appearance and re-check 'use system colors'. So yeah, that's a workaround but there's still a bug there on this issue. Path Finder Support Team closed this discussion on 24 Oct, 2018 09:20 AM. 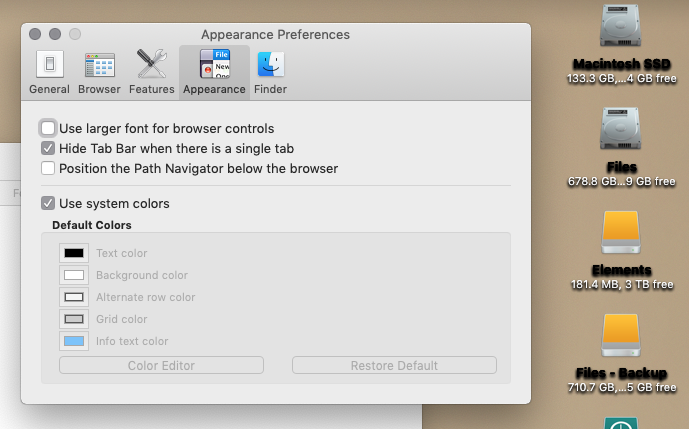 As a workaround, you can disable Path Finder Desktop in Preferences > Features > Desktop. Path Finder Support Team closed this discussion on 09 Feb, 2019 01:24 PM.